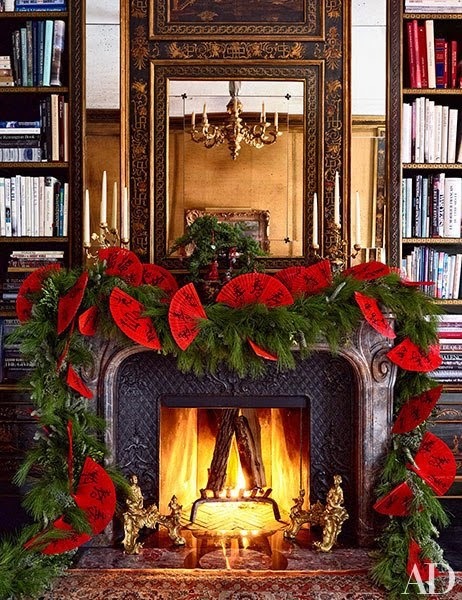 It's a touch early for Christmas decor, but I was smitten with this "fan"tastic display in the December issue of Architectural Digest–so eye-catching, and so easy to do! Bronson van Wyck draped the mantel of the above chinoiserie-paneled library in a Manhattan Duplex with custom-made fans, but you can tuck some of these fans from Pearl River into fresh greenery. 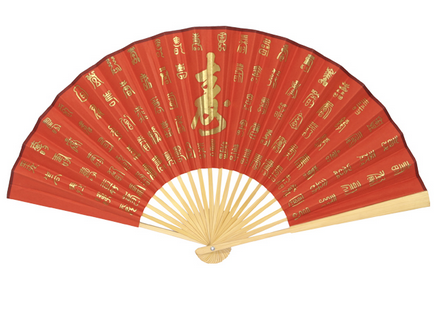 A longevity fan, below, with gold lettering would catch the Christmas candlelight beautifully. 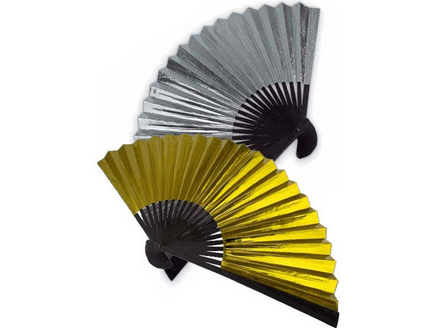 For a really elegant scheme, black and gold would be stunning and modern. 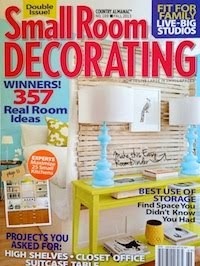 Or, a flash of metallic would compliment the twinkle lights. 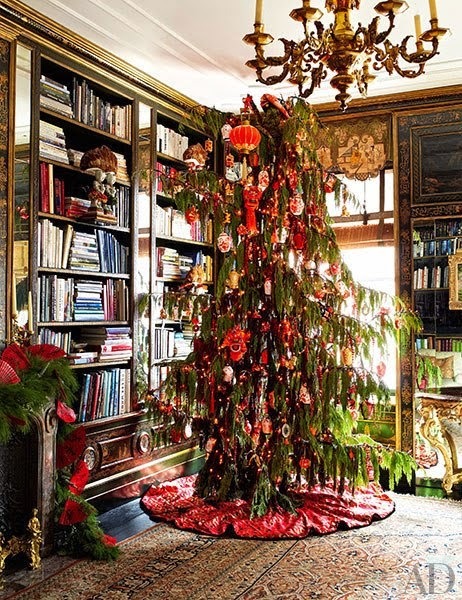 Finally, here's van Wyck's chinoise-inspired Christmas tree, layered in lanterns, tassels, and lots of lucky red. 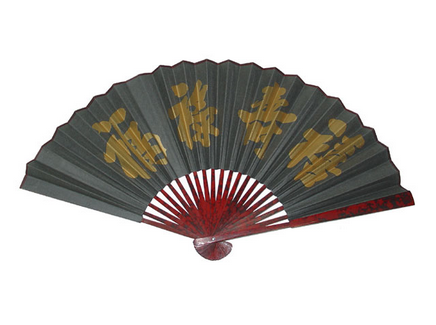 The skirt is made from Chinese wedding silk. Love the fireplace! Great decorations!